In my practice of photography there is a tension. The natural tendency is to look for the unusual, striking, breathtaking, exotic. But my saving grace is an ability to be present with what simply is, and fully embrace that, at least sometimes. In looking for the exotic, there comes a striving, a discontent with so much of what we encounter — even when we are actually in the midst of something spectacular. We become what Buddhists call “hungry ghosts” — a mental realm where nothing is ever enough. Photography in this context becomes a perpetual bar-raising for more unusual subjects and locations. On the other hand, by being with whatever is, there is often more interest and beauty available to us all, right where we are — vast rich experience is available in all of our everyday life if we dare to approach it undefended and full of curiosity. I was struck in a conversation at my dad’s bedside, a hospital visit recently. My sister, a bodhisattva, was talking about a situation where she was helping someone. The nurse’s aid in the room described that person as having found a miracle. And it is true, that causes and conditions have come together in a very lucky way for that person; you could call it miraculous. But what struck me is that by thinking of miracles as distinct from the everyday miracle of every aspect of our existence, we diminish everything. It’s not that this life is a low and dull thing, and somewhere, out there, are rare things called miracles. The whole thing is a miracle. The whole damn manifestation of this existence. Nothing less than miraculous. In Buddhist meditation practice, we are constantly cautioned to not seek high or extraordinary experiences. Inhabiting the ordinary fully is the practice. I think, despite awareness of this dichotomy in my photographic life, that I wasn’t really fully understanding why we meditate in this way. It’s not just that we “settle” for the ordinary. Fully inhabiting the ordinary, we see its richness, depth, and mystery. To look for the extraordinary, we miss the entire miracle, the whole miracle of our existence on earth. You miss that, you miss most everything. Looking for something somewhere else, something fancy, we miss everything. So here in my own garden in morning light with a vintage manual camera lens and the blessing of time to really look, it is enough. More than enough. This is a high resolution file, and it makes a spectacular print at any size. I print it on Canson Arches Aquarelle Watercolor paper. Prints available here. 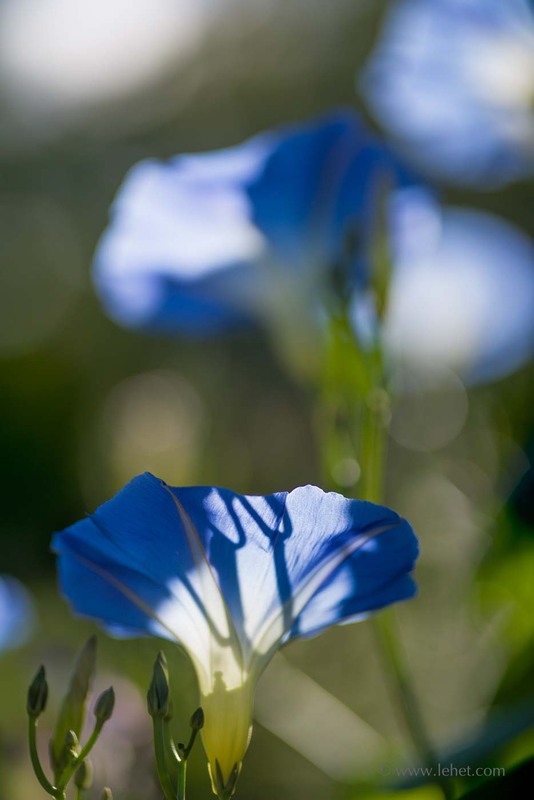 This entry was posted in blue, Flowers, garden, New England, summer, Vermont on October 20, 2016 by john lehet.